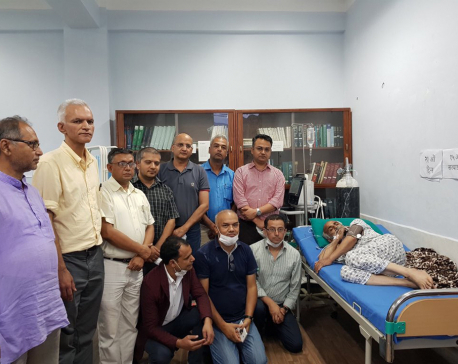 KATHMANDU, Aug 5: Acting Chief Justice Deepak Raj Joshee has demanded an independent probe into his academic credentials. A day after the Parliamentary Hearings Committee rejected him as the Chief Justice (CJ), acting CJ Joshee expressed his serious concern over parliament’s refusal and demanded an independent probe into his academic certificates. Issuing a press statement on Saturday, Joshee said, “I have been a victim of grave injustice”. The acting CJ Joshee complained that no question was ever raised about his academic certificates when he worked for 22 years in the capacity of an Appellate Court judge and four years as apex court justice but he was questioned for academic credentials and performance just when he was about to head the apex court. 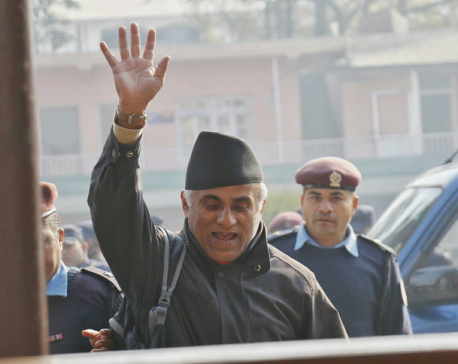 Joshee has claimed that the hearing committee misjudged the SLC certificates he had received by passing the exams conducted by the then Department of Examination under the Ministry of Education from Nepal Rastriya Bidyapith on May 12, 1973. “The unilateral decision made about my SLC certificate without following proper procedures has humiliated not only me but also the entire SLC board, and those scholars who have passed the exams,” stated Joshee, claiming that the symbol number of admission card matches that of the SLC certificate’s and the same number was published in Gorkhapatra. Joshee has asked the Constitutional Council and the government to investigate his academic credentials. On Friday, the committee had rejected Joshee’s appointment arguing that he had failed to clarify if his ‘suspicious academic credentials’ were genuine, present a future road-map to lead the judiciary and some controversial judgments in the past. Joshee had appeared in the SLC sent-up exam in 2027 from Bijaya Memorial School of Kathmandu but passed the SLC from Nepal Rastriya Vidhyapeeth two years after passing the test examination. Despite reservation, Joshee is planning to go on leave from Sunday letting senior-most apex court justice Om Prakash Mishra to lead the judiciary.